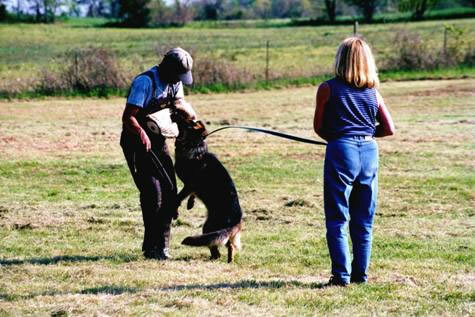 Jutta took up the Schutzhund training of Dasko under the direction of one of the finest trainers in the United States, Everhard (Hardy) Ernsting. From the outset, she made a decision that Dasko would be trained purely positively � without the use of any form of compulsion. It would be done motivationally, and without the conventional use of prong, choke, or electric collars or any other form of compulsion. Destined to be trained purely positively! Sheila Booth�s book �Purely Positive Training� had just come out. Jutta and I read it with interest. If whales and dolphins could be trained through positive motivation, why not German Shepherd Dogs? 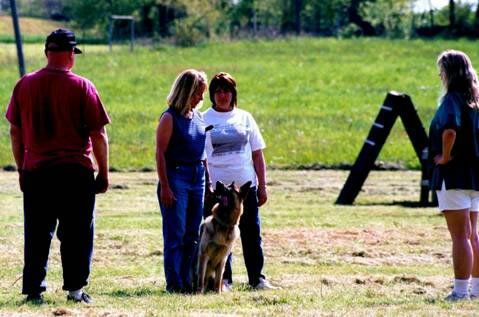 A lot of our friends, who were training their dogs by compulsion, discouraged Jutta. It could not be done purely positively, they argued. 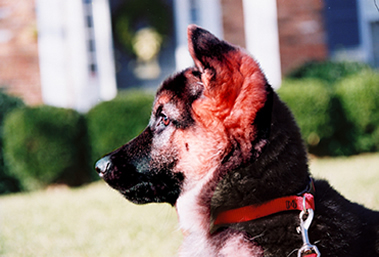 You needed a prong collar to correct the dog when he made mistakes during the training. But Jutta turned a deaf ear to all those that discouraged her. Jutta started her motivational training of Dasko. Hardy supported Jutta in her decision, and provided her with important guidance. He also did all the agitation work with Dasko in protection.